In February, Spartanman82 made sure we were aware of MSU recruit Denzel Valentine. View full sizeMLive.com File PhotoLansing Sexton star Denzel Valentine is drawing some crazy comparisons when it comes to his passing ability. We'll find out if they're true beginning next season when the 6-6 point forward takes the floor at Michigan State.EAST LANSING — Somewhere wrapped inside Tom Izzo's monologue this week about incoming recruit Denzel Valentine, Michigan State's basketball coach dropped the line, "I don't want to put a lot of pressure on him, because you never know what's going to happen." If only Izzo had taken a breath before continuing to gush about the 6-foot-6 Lansing Sexton prospect and cut down on the comparisons to Earvin, as in Earvin "Magic" Johnson. Among the Spartans' next class, there are more heralded and/or decorated prospects —McDonald's All-American guard Gary Harris and Michigan Mr. Basketball Matt Costello — but perhaps none more intriguing than Valentine. He's an oversized point guard, known for his gifted passing, and just led a Lansing Public School to its second straight state title. There's some Magic in that. "He sees the court as good as anybody I've had here, watching him in high school, anybody I've had here, as far as the passes he makes and the unselfishness he has." 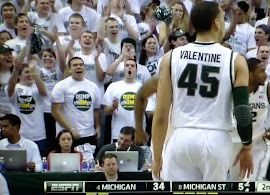 Izzo said of Valentine, the son of former Spartan Carlton Valentine. "There are a lot of guys that can make plays and make passes, and make other people better, but he can do it exactly when that guy needs it. Whether he's taking the ball out of bounds after the other team makes the basket, throwing it the length of the court. He doesn't need to make the spectacular pass. He can make the wraparound. Can he go behind his back, between his legs. He can do all those things, or he can make a real, simple, easy pass and enjoys both. "I mean, I called Day‑Day (Draymond Geen) a miniature, miniature, miniature Magic in a lot of ways. But Denzel has a lot of those qualities that I used to see in films of Earvin because he's always got his head up. If you watch him play, his head is up from the minute he's about to get the ball — meaning, the ball goes through the basket, and he's already got his head up looking at where he's going to outlet the ball to. If he's got the ball in his hands, he sees everybody, everything, and can make a simple pass. He's big enough to see over people." The question about Valentine is what position does he play in college? If he truly possesses Magic-like qualities, shouldn't he be a point guard? Some see him more on the wing for the Spartans, at least while Keith Appling is around. Perhaps Michigan State's greatest attribute this past season was its unselfishness, and that began with Green at power forward and Derrick Nix at center as much as anywhere else on the floor. "If you watched any of the Class A or Class B State Championship team, you've got to give Sexton a lot of credit for the unselfishness," Izzo said. "And it was led by their star, who I think will be coming here to be a very, very good player even as a freshman. That's Valentine. I've never seen a player that passed the ball and was as unselfish." 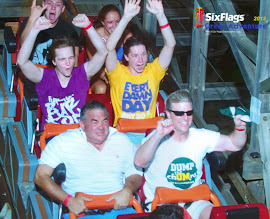 So much for tempering enthusiasm. chUMps coaches and players use the GREEN and WHITE of OHIO as an insult toward Ohio State. OHIO turns disrespect back on chUMps by dUMping them in first chUMps game of Big Dance. Can JB or The Hokemeister ever refer to The Ohio State University as OHIO again? What does it say about them if they stop? What does it say about them if their players and even professional coaches continue their childish game of refusing to refer to Big Ten Institution by their actual name? Using a Mid American Conference Institution as a way to insult their rival reveals them for who they are; chUMps! And OHIO has exposed them for all to see. Once again however, they luck out. With Duke losing, the nation will be talking about Duke losing and the Missouri loss. It kind of reminds me of when Ed Martin died in jail along with all his dirty little secrets about the cheating chUMps basketball program. 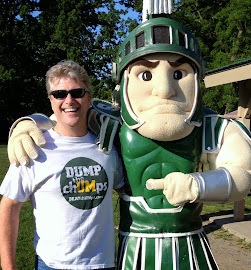 Note: We, as fans, use "chUMps" on this site as a way to counter balance the illusion the Michigan media machine has created about their athletic program. We also use it a fun way of sparing with them. If ever the term catches hold among Spartan Nation, you will never hear MSU coaches or players use it when referring to the University of Michigan - let alone 100% of the time - all in unison, across multiple sports as if orchestrated in some way. OK, I know the OHIO thing was orchestrated. So what do they do now? Remind everyone of this game every time they do it or discontinue the practice, basically admitting they were being chUMps? A Beautiful Day for Football has changed to Shaw Lane Spartans and has been on fire with excellent and detailed posts. Their live feed is currently invalid, so it does not appear in the Link Resource at the bottom of the page. I have put in a request for repair. I'll you know when I add it. The Weasel Basketball team drew a four-seed in the Big Dance this week, earning the right to play the "Ohio State" Bobcats. Many know the Bobcats as "Ohio", but at the University in Michigan, "Ohio" is the team from Columbus. Brady Hoke has been calling OSU "Ohio" since he crawled across the country on his belly to land his dream job. More recently, John Belein has been calling the Buckeyes "Ohio", as if he can't read the league stationery on his own desk. It's reported that the UM AD has informally ratified the practice of referring to the only conference team from the State of Ohio as, "Ohio". So naturally, in UM lingo, their opponent this week is, indeed, "Ohio State". Pay close attention to all interviews with UM officials to track their use of the words "Ohio State" when describing the Bobcats. 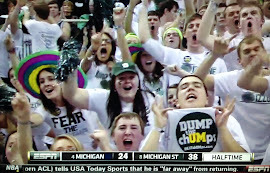 To celebrate the fact that the Spartans are the undisputed B1G CHAMPS and the chUMps are just, well... chUMps, T-shirts were $13.50 - Now $10.00 (and a free DUMP the chUMps button) until MSU is crowned champs or until both teams are out. A fun gift for any Spartan Fan! If you are not a Spartan - that's OK There is not team reference on the shirt. 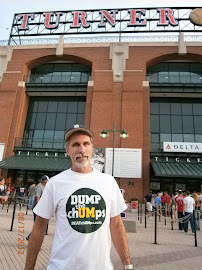 Wear your DUMP the chUMps shirt and hear the chuckles and snickers from passers-by. What an excellent gift for anyone whose second favorite team is the next team on the chUMps schedule. Everyone loves to hate the team representing The Evil Empire wearing their Blue and YELLOW pajama-looking costumes. Michigan State University Spartans will love it and even those Walmart Wolverines will have to chuckle a bit. Wear it anytime and anywhere - concerts, any sporting event or public place and you are guaranteed to get some funny looks and comments and LOTS of compliments. 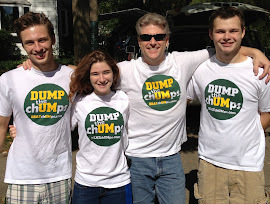 You know dozens of people who would really appreciate your dUMp the chUMps shirt gift. Other products (more shirts, mugs, caps, bumper stickers, window clings, flags, etc) yet to come. Exclusively available at E-Bay. The Green and White, MSU Spartans version is pictured and available for order right away. Possibly Scarlet and Gray, Ohio State version available in the future - send us message so we can see demand. IMPORTANT - IF WE GET MORE ORDERS THAN WE HAVE SHIRTS ON HAND WE WILL MAKE MORE IMMEDIATELY. WE WILL COMMUNICATE TO YOU IF THIS DELAYS SHIPMENT. What's on the line? Kentucky. If Spartan earn a 1-seed, it guarantees that they will not have to got through Kentucky (or even Syracuse or UNC) to get to the Final Four. We are a long way away form that, but it adds to the importance of today's game. Who asked Brady Hoke if he was rooting for Ohio State? Then what happened? Spartan Human Interest Stories. Who Knew? While Delvon Roe sits the bench Sunday waiting for his queue to go to center court and kisses the S - you might appreciate it more after reading this. A Spartan senior will end his career with the last laugh and a degree. When 4-years old, experts told his parents that he would be able to finish high school and live just fine in a group home. He has a developmental stunting form of autism. Get to know this Spartan before his kisses the S.
When you see Draymond Green kiss the S on Sunday, it might mean more to you if you knew this about him. The Spartan football staff's pay ranked #11 in Big Ten before recent raises. Dantonio springs huge gift to promote "family" in the program and loyalty to Michigan State. Here is an update on the most important personnel issue for Spartan Football in 2012.